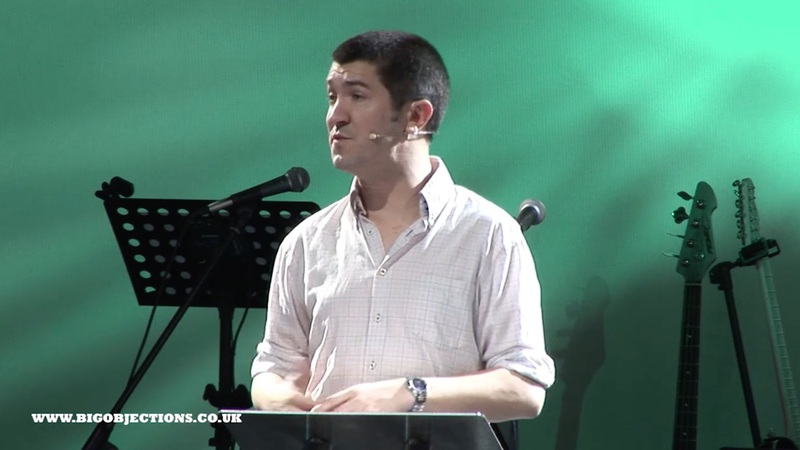 Andrew Wilson talks about why God allows evil and suffering. A British comedian and actor named Stephen Fry, who has been an outspoken atheist for many years, gave an interview on Irish TV recently in which he said, in so many words, that if God existed, he couldn’t be considered good or worthy of our love or worship because of the existence of evil and suffering. As I’ve said before on this blog, this is the strongest reason not to believe in God: objecting to God on moral grounds. Wilson’s main answer is, “We don’t know.” Yes, Wilson agrees, there are good reasons that explain some suffering: our ability to make free choices; the constancy of physical laws that enable us to live in a predictable world; the influence of Satanic forces; the development of character; punishment for sin. But he agrees with skeptics that these reasons alone can’t explain all suffering. 1) If God exists (and he’s all-good and all-loving, as Christians say), he would not allow evil and suffering in the world. 2) Evil and suffering exist. 1) If God exists, he must have good reasons for permitting evil and suffering. 2) God doesn’t have good reasons for permitting evil and suffering. 3) Nevertheless, evil and suffering exist. 4) Therefore, God doesn’t exist. We can’t know what God knows. In our finiteness, we can’t begin to foresee what alternative world would exist if this instance of suffering or that instance of evil weren’t allowed to happen. As Wilson points out, this is the main theme of the Bible’s one book devoted to the question, the Book of Job. This all makes logical sense, of course. But we humans aren’t Vulcans (as yours truly is constantly reminded on this blog or in real life when I try to defend our denomination’s traditional stance on human sexuality). The biggest moral objection to God’s existence is emotional, not logical. But even on this point, Wilson makes a far stronger case for Christianity than any secular alternative. In the secular story, you lose a child, and in the secular view of the world, without God, there is no basis for declaring anything to be objectively evil. You can say you don’t like it—you can say it’s not very nice if it happens to you—but you cannot say it’s evil. It just simply is. That’s true of everything. There’s no objective basis for saying there’s anything evil—or good—in the world. Creatures are born. Creatures die. The strong eat the weak. There’s no reason to say any of that is wrong, with no shoulder to cry on, and no hope that it will ever get better or be undone, and evil wins. That’s the reality. In the end of it all, you just go back in the earth, and all the evil things that happen remain totally unjustified. That’s simply not how the world works. There’s no emotional solution at all. There’s nothing satisfying—there’s nothing emotionally or existentially satisfying to cling on to in that story. You have got nothing. The way the Christian story works, there is a very clear basis for saying that things are good and evil. God is good, is love. Creation is good. Suffering is awful. God enters into our pain as a man in the person of Jesus. He takes human evil upon himself. Human evil is renounced. Human evil is then forgiven. Death and all of the stuff that goes with it is defeated and undone. Death is swallowed up in victory. The world is made new and love wins. The contrast of the stories when framed that way, you say, “One of those stories has immense emotional power to sustain and undergird someone who’s going through suffering and the other one simply doesn’t.” And as such I think it’s very important to see that the Christian gospel does give us the emotional resources we need to cope with the bleak suffering that takes place, because it pivots on a God who lives and dies as one of us to rescue us. He concludes by reminding his audience that while he doesn’t know the answer as to why people suffer, he does know what the answer isn’t: It isn’t that God doesn’t love us. Not if the gospel is true. I don’t know why this is happening, but I know it isn’t happening because God doesn’t love me… God will fix evil and somehow turn it into something good. This entry was posted on	February 9, 2015 at 2:31 pm	and is filed under Uncategorized. In my own experience, inasmuch as I’ve suffered in life, I’ve brought it on myself. Life remains incredibly good, and I’m grateful (or at least I ought to be) for every moment of it, which is sheer gift. If this counts as God’s “abusing” me, then you and I have different definitions of the word. Can you recognize how similar that sounds to a spouse justifying abuse? Not saying you agree that it’s the same, but I think it can be said to clearly sound similar. Except in this case, the “abuser” (God) lets himself suffer the same abuse, right? Hypothetical: I’m an omnipotent, infinite being. I take 33 years out of that infinite existence to live as a human, about a week of which (I’m rounding up) involve pretty horrible torture. Then, I get to return to being omnipotent and infinite. How is 33 years, out of an omnipotent and infinite existence, not less than a hangnail for us? O.K., but by that measure, what’s the temporal sufferings of anyone on this earth compared to eternity? Assuming we have eternity. We can have a hypothetical argument about that if we were to assume, for the sake of argument, that humans had eternity (though not omnipotence, which would still render a god’s suffering lesser than our own). But as this is the only life we know we have, how can we reasonably judge things based off an eternity we aren’t sure to get? When God becomes human in Jesus, he no longer enjoys omnipotence. He is fully human. So his suffering is as real as anyone’s—worse, in the sense that he is separated from God in a way that we can never be in this life. But as for your question, it’s a good one. It takes faith, obviously. But even in Wilson’s video to which this post links, he offers one good reason: the secular alternative fails to account for our strong convictions not merely that things just are, but that they are also good or bad, morally right or evil. The Christian story offers us that; the secular story doesn’t. Which isn’t to say that everyone, believer or non-believer, doesn’t act like there’s some non-relativistic basis for believing something is right or wrong. Right. But if you asked me if I would suffer horrible torture, but was to be raised from the dead a few days afterward and be omnipotent…I’d raise my hand in a second. I don’t see that at all. The secular story tells us that, for the vast majority of those conviction, they assist in survival of individuals and the species. Not that hard to understand at all. No. It means our convictions have an underlying cause. Don’t know how that makes them ‘lie’. There is none of that to the universe. The universe doesn’t care about us. But we care about each other. Of course not. And why would I want that? It’s enough for me that the renewed, redeemed, re-created world in which we will live will satisfy our deepest desires. In fact, inasmuch as I’m able to trust in Christ now, sinner though I am, I find that he satisfies my deepest desires. I’m sure you would find that, too. I doubt it, as my deepest desires involve eliminating things like cancer and natural disasters. With a god’s power, I’d do that in a second. Because you perceive that that’s a good thing to do. I agree! With God, we actually have a foundation for the word. Unlike God, however, you can’t foresee the consequences of eliminating things like cancer and natural disasters. I feel sad that you assume there would be some negative impact to fundamentally helping people be healthier, happier and live longer. Again, ultimately our Lord has done that through the cross and his resurrection: we have eternal life on the other side of our own resurrection. Then the forces of evil and death are defeated. I know you don’t believe it, but this is the Christian message. In this present world, however, even natural disasters have their place and serve their purpose, right? They are governed by the same good physical forces that create this beautiful, sunny spring-like day that we’re enjoying in Atlanta. Besides, doesn’t the use of the word “disaster” imply an ought that you otherwise want to deny? After all, whether something is a “disaster” depends on one’s perspective: the same forest fire that’s a “disaster” for people living in the path of it might be quite good for the overall health of a forest’s ecosystem—which would ultimately benefit us humans, too. I’m not meaning to be cold-hearted, but you’re the one who asked what could be wrong with eliminating natural disasters. I’m not sure, but I trust that God knows how to govern this amazing world he’s created—a world that, in general, does an excellent job supporting and promoting human flourishing. I have no right to complain. Life is incredibly good. For you. And that’s incredibly short sighted. All I can tell you is that if I were a god I’d make sure that people didn’t die from cancer or natural disasters and that no negative consequences occurred because of the no cancer and natural disasters. Because apparently I have a better imagination than the god you believe in…or the people who first thought he existed, anyway. Yes, but does that mean you would ensure that no one could build a house in a forest where the potential of a forest fire exists? Or would you eliminate fire in general—and then where would we be? If human beings have freedom, you’d have to do a LOT of baby-sitting to ensure that no one gets hurt. I’m pretty sure you wouldn’t like that either. Is life not good for you? Again, that’s another good reason to trust in Christ. He promises abundant life in the present, and in eternity. I know it’s the nature of online comment threads to be sarcastic, but I am serious when I say this: I’ve found that life in Christ. And I would love for you to experience it too. I’m pretty sure I wouldn’t mind. I’d be a god. Infinite time to figure stuff out along with that infinite power. For me personally it’s pretty good. Lots of promises are made. I see no evidence those promises are based on reality. I meant, you wouldn’t like it if you weren’t a god. I forgot you were playing God. In order to prevent us humans from experiencing suffering, God would have to take away a lot of freedom that we currently enjoy—to prevent us from hurting ourselves. God knows that wouldn’t be good for us. Is there freedom in Heaven? If yes to both, how does a god swing it in Heaven but seem to have problems with doing it on Earth? Is the freedom good? You know the answer to that. Although from a materialistic point of view, does it even exist? Without a transcendent mind superintending our bodies, aren’t we, at some level, simply obeying unthinking forces of cause and effect? Without God, freedom is a huge philosophical problem. So, with Christianity, we also get freedom thrown in. Since we think we’re free—just as we think there’s such thing as good and evil—this makes Christianity seem more realistic, at least to me. Regardless, God doesn’t have a problem with freedom; we humans do. That seems clear enough from the money we devote to law enforcement and national defense. As for life in the resurrection, we’ll be re-created to be able to manage freedom better. As far as can be reasonably ascertained, and pragmatically, yes. With god it’s a huge philosophical problem. Honestly, it looks from the outside that you’re just picking the more palatable option, not the more realistic one. “Pragmatically”? “As far as can be reasonably ascertained”? How can mental events, which are mere byproducts of the firing of neurons—like smoke rising from a fire—play any role in the appearance of someone exercising choice? Desire and choice are illusions. I’m picking the “palatable option” because the less palatable option, materialism, doesn’t correspond to reality nearly as well. In reality we experience free will. But “free will,” according to materialism, is merely an illusion generated in response to physical processes of cause-and-effect. A “mind,” which is generated by physical phenomena, can’t in turn cause physical phenomena, yet that’s what must happen for freedom to have any meaning. It does, actually. You claim your particular religion matches up to reality, but it’s only a claim. The only evidence is a further claim. There’s plenty of evidence for Christianity. This conversation hardly scratches the surface. But we’ll have to save that for another day. But I do have the evidence of my changed life—I’m happier, more at peace, more loving, and far more grateful than I was without Christ. You can have this too. Just let me know. George Bernard Shaw said it best: The fact that a believer is happier than a skeptic is no more to the point than the fact that a drunken man is happier than a sober one. I get his point. My better quality of life doesn’t prove anything—not that you’d suggest that a skeptic’s unhappiness proves his side, either, unless you’re just a really pessimistic person! But what a strange kind of happiness it is that often involves denying yourself the very things that most people think they require to be happy! Whatever kind of happiness it is, it goes much deeper than a drunken man’s happiness. I believe it results from repairing the central relationship that was damaged by sin. Christ offers us a way to be the people we were created to be. Apart from Christ it’s easy to imagine that happiness would be more difficult to attain. I’m sure it’s easy to imagine. I see no reason to think it’s true, however. And I wouldn’t be at all surprised to see that the non religious are just as happy (obviously subjective, but still) as the religious, on average. I certainly don’t find myself feeling the lack. If that’s the case, then your George Bernard Shaw quote is pointless. Still, I’m glad you’re happy. Life is incredibly good, which I began this thread by saying. God is very gracious to give it to us. It’s not pointless. It was in response to your argument that your own happiness was somehow evidence for the truth of your religious claims. Life is good. And I’m glad for the people who worked hard to help me get it that way. If happiness, as you suggest in your follow-up, is evenly distributed between believers and non-believers, then there’s no reason to attribute believers’ happiness to some quality of their faith. Hence, the analogy to the drunken man would be wrong. But that’s not important. I just like to argue. As for your last paragraph, we are in agreement. If it is, then your claim of happiness as evidence is also invalid. If your claim of happiness was valid, the quote of Shaw stands. Either way. They “lie” in the sense that we have a strong intuition of a world that “ought” to be. As you know (as we’ve discussed many times on this blog), there is no “ought” from a strictly materialistic viewpoint. There’s only an “is.” True, you can make of it what you will—make your own meaning and all that—but that’s not what we want to say when we use words like, “This is good,” “Abuse is evil,” “I will love you forever,” etc. My response, at the risk of sounding rude, is ‘too bad’. Some people may want an ought. Many earlier generations thought there was an ought and taught the earlier generations. But that desire in no way implies that it actually exists beyond a desire. No rudeness. I’m glad you put the problem so candidly. God’s plan is for eternity. What happens in my short earthly life may be “the most important thing” to me, but what do I know of eternal things? I have seen great suffering and much pain, but I have also seen joy and triumph. I trust God’s plans better than my own. Well put, Grant. Eternity answers the deepest questions. I have to say that I shy away from the propositional ways of thinking about suffering and evil. Much of the reasoning and arguing seems to be laden with Calvinistic/deterministic assumptions. I would rather think about these things through the narrative of scripture. God’s creates an all good creation and gives man the ultimate gift – the gift of life. He also gives man freedom and man abuses that freedom which leads to sin and death. God could wipe and start over but that would not solve the dilemma. God allows man to continue to exist and solves the dilemma through the cross. That’s the way that the author addresses suffering – it’s the best way. It’s not defensive, it’s not inhuman – it just simply tells God’s story. I think another good way to address evil, injustice, and suffering is to pose the question: If you were God, how would do it better? Would you eliminate personal choices, decisions, and will – and turn people into robots? Would you “babysit” the world and prevent every bad thing before it happened? What if intervening caused something bad? You get my drift . . . it’s easy to criticize but not so easy to give better answers. I’m not sure what you mean when you refer to “propositional ways.” The use of a syllogism (given these premises, this conclusion follows) is a classic way of representing any argument. I agree that free will goes a long way toward explaining most evil and suffering. But as Wilson says, it can’t explain everything: natural disasters, many diseases, the suffering of children, etc. There are multiple assumptions in those propositions. That’s the weakness in propositional thinking/reasoning. For example – the third one – God doesn’t have good reasons for allowing evil to exist.” How do you argue that one (I know that you do not propose that one but I would have to stop the argument right there for a multitude of reasons – for one, you have to define “good” and also what it means to “allow evil to exist” – what would refusing to allow evil to exist mean? Would stamping out evil cause another evil to occur – for example, stamping out an evil city causes another generation to not exist, a generation that has the potential to do good, be good). I don’t know if I would even argue that free will is the best way to explaining suffering, evil, etc. The idea of free will is pretty assumption laden in itself (just ask Luther). The narrative theology of the Bible explains it the best in my book. Genesis, Job, the gospels, the Revelation . . . they all provide a more complete, real life explanation as to why things are as they are. As a pastor, I don’t even mess around with propositions anymore. They are too impersonal and I tell by the look on people’s faces that they are not satisfied. Hearing about Jesus weeping over the grave of his good friend Lazarus seems to mean more and even explain more than a series of dry, lifeless propositions. I know that “fundamental” views are out of vogue, but I thought that in “the fall”, in “original sin”, and in the rebellion of Satan, that the world (not just mankind) became “broken”. That since that time, the story of the Bible is God’s redemptive plan the return the world to harmony with Him. The first coming of Jesus showed the way; provided the door or gate. At the second coming of our Lord, all things will be brought back into harmony. The cosmic conflict will somehow come to a close, with the dawning of a new heaven and a new earth. The promise we claim is that, through Jesus, we can lay claim to that inheritance. Again, this is not what the “modern Christian” wants to hear. It’s too flowery, and too “out there” to be practical. However, it is the food that feeds my soul. Me too. What you described is not a “fundamental/fundamentalist” view but “mere Christianity.” It’s just orthodox Christianity and it’s awesome. I guess that makes me a fundamentalist, Grant!